Last Wednesday we witnessed the return of our favorite reality modeling competition, Asia’s Next Top Model. 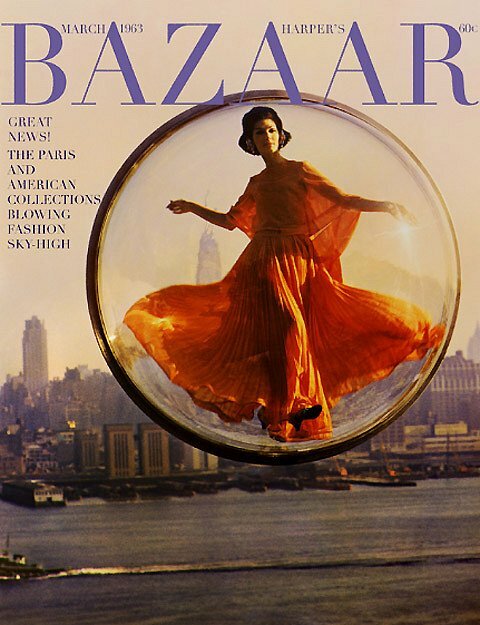 The girls channeled their 60’s groove recreating the iconic photographs from fashion photographer Melvin Sokolsky‘s Bubble Series published in Harper’s Bazaar magazine. This time Filipino photographer to the stars (and equally photogenic) BJ Pascual and the 13 remaining girls brought us back to the heyday of 60’s fashion. Read on for my Asia’s Next Top Model Cycle 4 Episode 1 power rankings. How did your early favorites fare? Here’s how they ranked based on my assessment of their performance in the 1st episode. Note that I’m only ranking their photos for their 60’s inspired fashion shoot. Groovy. 60’s elegance in one photo! Aldilla is modelling from head to the tips of her fingers to her toes. This early, she reminds me of Barbara from last cycle. She makes the clothes look very expensive plus makes me want to buy them for myself. Now that’s how you lose one leg (a Tyra no-no!) but make. it. work. C’est magnifique! I love how Cindy and the judges conjured up the backstory of a rich socialite sunbathing awaiting her champagne because that is exactly what I see in this photo. Edgy? Check. Elegant? Hmm, not quite. She did make great use of the full bubble space. She did not let the bubble limit her. I don’t quite understand this pose but I’m in agreement with the judges that she does know how to showcase the clothes well. She looks like an international spy here. Very 60’s. I do wonder about the right leg placement. It all looks very tentative. She’s one of the three that had their final photo in the sitting position, but hers has the least energy. She looks like she’s just lying at the bottom of the bubble there. If it were not for the 60’s brief this would be higher up my ranking. It is still a pretty picture nevertheless. Mai Ngo’s left arm position is unsettling. Both her and May fit the brief but their poses didn’t really make use of the bubble as well as the top 5. I do love that Mai Ngo looks like a giant, with her hand grazing the skyline. I don’t feel the energy from Tawan. It looks like she’s being photographed in between poses, as if she lost balance. And another Tyra no-no: the no-neck monster! All pretty girls… but there’s nothing to work with in these photos. They didn’t make full use of the prop, and it’s especially disappointing for Tugs who has very beautifully long arms and legs, in what could have been the perfect opportunity to showcase her model height. Kudos to Angie for actually executing this challenging pose. But I agree with the judges that she forgot to consider how the garment, all crumpled like that, would look… which is kinda the point of a fashion shoot. I could see this pose in a beauty pageant candidate’s glam shot. She does look regal and she’s got great legs. But this photo isn’t really that interesting. Side note though: the judges should really tone down the “beauty queen” criticisms on Gwen. She’s not the only one who has a beauty pageant past. This is great for the girls’ first photo shoot; they are being challenged this early. I do worry that they’ve probably amped up the difficulty too early. It was heartbreaking to see both May and Tugs crumble under their uncontrollable phobias of confined spaces, and heights, respectively. What is up with the wardrobe? Most of them wore shades of blue so a lot of them didn’t really stand out from their backdrop, notwithstanding the muted colors of the photo overall. Compare the girls’ photos to the original Harper’s Bazaar cover that I included at the top of this post. The orange flowy dress pops out against the sky blue New York landscape. Only Aldilla’s dress managed to do just that. Oh and special mention to that incredibly mean way they eliminated Maya from Thailand. Runway isn’t even a huge component on this show, and they eliminated her based on that alone. They could’ve just given her a penalty like getting only 5 frames for the photo shoot. I’m just hoping that the show will also adopt the callback format from America’s Next Top Model, so she can prove that she deserved to stay longer. What do you think of Asia’s Next Top Model Episode 1? Do you agree with my ranking of their photos? Who is your FCO? Does Gwen deserve to stay in the competition? Are you scared of confined spaces and heights too? Sound off in the COMMENTS below. 2. Actually, this episode reminds me to S2, where Jessie was eliminated for same thing. But I’m gonna agree with you about mean things, especially for Maya. I mean like what models said at the house.. “we’re just said hi”. And also, it makes more frustating for models. 3. Score system ? Really ? 3. Tuti -> gonna agree with you here. 4. Sang In -> not too impressed with her leg position. but her upper up is amazing.